When my wife Sandra and I first moved to the Sunshine Coast 17 years ago we decided to follow our passion and work towards teaching karate full-time. For the first few years we did it tough. Looking back on it, the approach we took was kind of stupid and to be honest I’ve got no idea how we made ends meet, but somehow it always seemed to work out. We came to the coast with almost nothing, just what we could fit into the back of our little Suzuki Swift. For the first 2 months we literally camped in the cheapest unit we could afford to rent in Maroochydore, we barely made ends meet. Everything we did was about moving towards our goal of teaching karate full-time. We didn’t know anything about business or marketing. And we had next to no money. Although we were both very capable of getting good jobs, we chose to work part-time jobs to help support ourselves through the early stages. And we had to make sure that our work didn’t interfere with the times that we would most likely be teaching classes. After a few months of settling in, we finally decided it was time to get a class going. We made up some flyers, printed them out and hand delivered them, all 200 of them. We were crushed when no one showed up for our first class, but we stayed and trained anyway, with no students. This went on for a few weeks until somehow we got a small write up in the local newspaper. Shortly after we got a phone call and we had our first students, two brothers. Looking back on it now, our marketing skills were laughable. But somehow, by the end of our first year, we had a grand total of 10 students training with us, it was almost enough to pay the rent for the hall we were hiring to use as a dojo. By the end of the second year we’d built it up to 40 students and over the coming years our dojos continued to grow. For these first few years, we were teaching in various community halls all over the Sunshine Coast. The classes were growing, slowly, but we were still so far from our dream. The more students we had, the more expenses we had. We never wanted to run a business, we just wanted to teach karate. But over time we realised, if we were to truly create a sustainable dojo we had to build our dojo around some good business practices. We had to manage our cashflow, do regular marketing, create business systems and put up our prices. For us it’s never been about dollars. Even now, we’d probably still do it for free if we could, but no one has shown us how to do that yet. 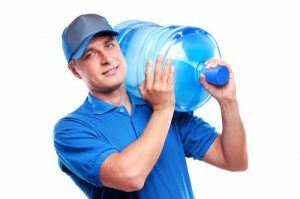 Through those early years, I delivered pizzas for a while a couple of days a week and for a few years I worked through the day delivering bottled water. 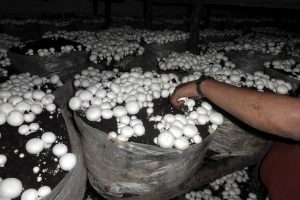 Sandra and I both worked on a mushroom farm and we had a few other odd jobs in between. We knew these were dead end jobs, but we didn’t want to build a career outside of the dojo. We wanted to do something that would help us pay the bills while the dojo was growing. Something that we could easily quit when the time was right. For someone who’s never really done martial arts it’s probably a bit hard to understand why it was so important to us to pursue our dream in this way. It’s not because we didn’t have any other prospects. We were both A students at school. We both went to university to pursue degrees in education.We were smart, capable and willing to work hard. But our passion was in karate. Maybe it was because the dojo had always been a special place for us and we wanted to create that for the people of the Sunshine Coast. In our younger years the dojo provided a safe haven, it was a place to escape the troubles of life. We both loved to train, and we trained hard. The training helped us to build strong bodies and over time a strong mind and a good emotional base from which to build our lives. Karate gave us both the opportunity to travel internationally for competitions and training. We developed so many good friends through karate. The dojo is more than just a group of people coming together to train, it’s a community built upon the bonds of common experience. One of the things I’ve always loved about the dojo is that it’s a melting pot. You get people from all walks of life coming together and putting aside their differences. Working through challenges, supporting each other, sweating it out and growing together. Age, gender, religion, social status, sexual orientation. It doesn’t matter in the dojo. It’s such a leveller to have the social hierarchy turned completely upside-down, and everyone just accepts that as normal. Where else would you see a doctor or lawyer hanging off every word that a child has to say, in the hope that they don’t miss the point of an important lesson. 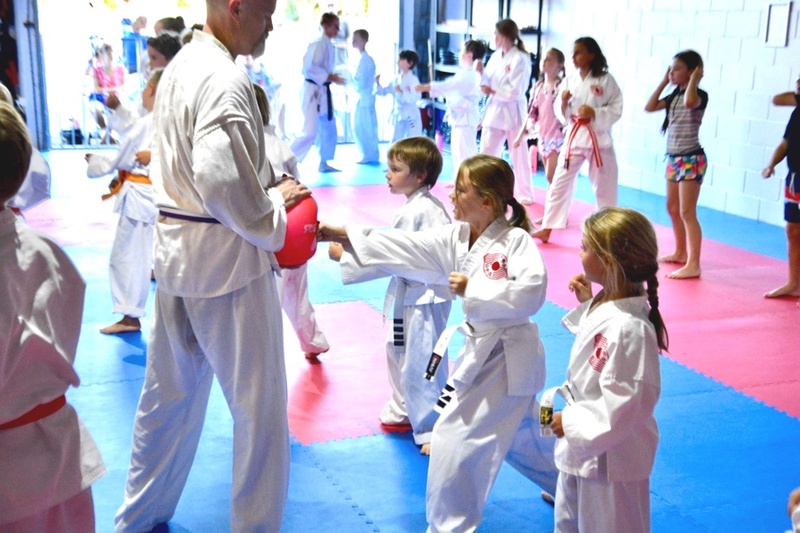 The adult might have so much more life experience, but in the dojo, quite often you’ll have children who by the time they get to 9 or 10 years old they’ve spent half their life or more honing their karate skills in the dojo, so they’re the expert. The dojo has a hierarchy of it’s own, but everyone has something of value to offer. It can be hard to leave the baggage at the door when you come to train, but for those who do the learning opportunities can be profound. When we first started teaching here on the Sunshine Coast, martial arts had such a negative image. Nearly everyone we spoke to at the time saw martial artists as rough brawlers who were just looking for trouble. This was so far from our experience and nothing like what we wanted to share. So it was a real uphill battle for a while to change that perception within the public. But slowly we’ve been able to do that. Thanks to a lot of help and support from a lot of people, we achieved our dream of opening our own full-time dojo in September 2003. One person in particular who was instrumental in helping us to establish a full-time dojo was Jason Vanderhor. At the time, Jason and his family had been training with us for a few years and he helped us get a lot of the key pieces into place so that we could position ourselves to secure the lease on the premises. As that time, Jason was also setting up his own business after completing his MBA. A little while ago, Jason sold that business and is getting back to his passion of helping people in business, just like he helped us. Business Up is geared to support your business goals, whether its start up or development. I know how difficult it is run a business and to learn and implement the latest processes or tools to keep that competitive edge and work on efficiencies often gets neglected. As a recent successful business owner, I understand an objective look can make a huge difference in profits and minimize risk in your business. 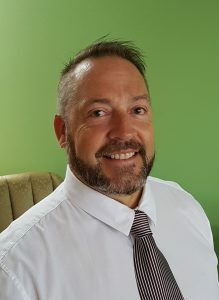 Having nearly 20 years’ business experience on the coast backed by a local MBA, I have real skills in business development and a passion to help business owners reach their goals. With over 50% of businesses failing in the first 3 years, I believe there is little support for the backbone of the Australian economy, the small and medium businesses. So, we are offering a free, no obligation look at what we can do for your business. To learn how Jason can help you, give him a call on 0400 989 063. Since then a lot has changed, we’ve had two kids of our own, our eldest started high school this year. The dojo continued to grow and we’ve had the pleasure of sharing our passion with 1000’s of people and we’ll continue to do this as long as we’re still breathing. 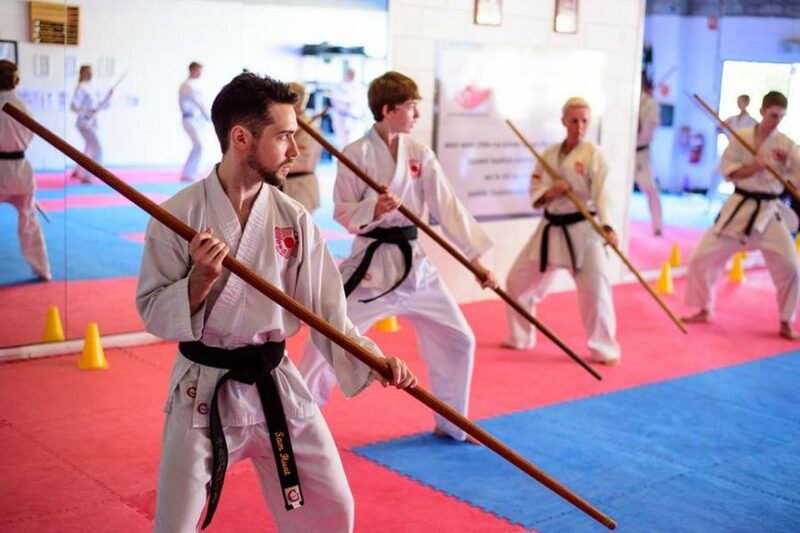 Thankfully the perception of martial arts seems to be changing too, and we like to think that we’ve played an important part in that process. Reflecting back on the journey now, I am so grateful that both Sandra and I have been able to find our passion and had the courage to pursue our dream, but the journey is far from over. As I write this now, we’re currently in the final stages of preparing a team to compete at the Chito-Ryu World Karate Championship in Japan. In the dojo many of our classes are near capacity. Our teaching and leadership teams are growing more and more each year, both in numbers and confidence. We’ve got more black belt students than we’ve ever had with more on the way soon. But perhaps most importantly to me, we have a lot of good people who are part of the dojo. Everyday it’s uplifting and inspiring to have the opportunity to share part of my day all of the people that make up our dojo community. Thank you! We know that not everyone is going to find the same things in karate that we have. Our philosophy is simple “karate 4 life” what you make of that is up to you. Maybe it’s to create a life, to save a life, for a lifetime, for a lifestyle, as a way of life…. the possibilities are endless. Everyone’s experiences are different, everyone’s motivations are different and everyone’s results are different. But if you’re curious, if you’re looking for something more out of your life and if you’re willing to try something different, we’d love to have you join our dojo community. 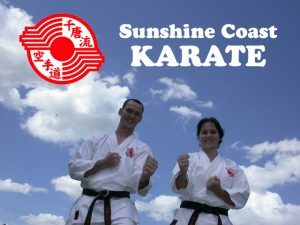 If you live on the Sunshine Coast, why not contact us for a FREE trial lesson at Sunshine Coast Karate.